It’s come to the end of the second month for our second book of Book Club! 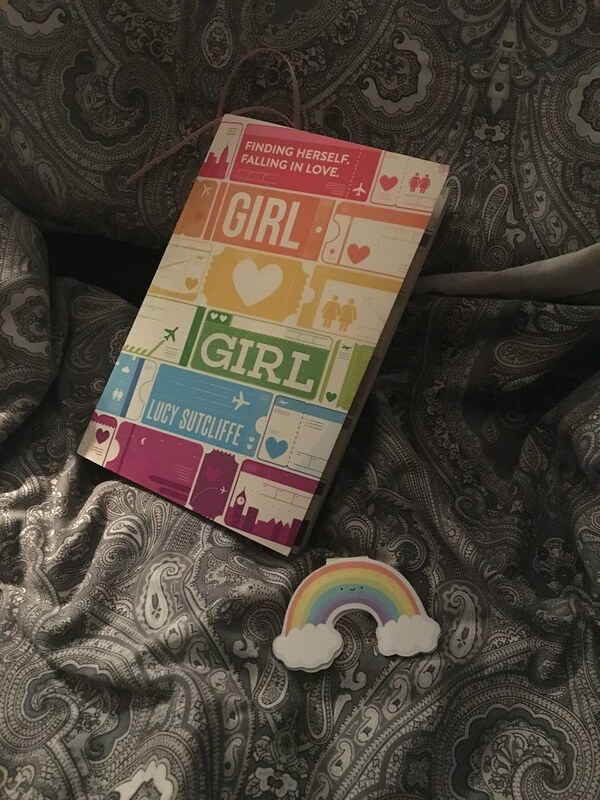 For the last two months we’ve been reading Girl Hearts Girl by Lucy Sutcliffe. Our next book starts on the 1st of July, (we’ll reveal that at the end of the post) so make sure you get your hands on it to join in our read-along for that one! Also don’t forget to use the hashtag #TLCCBookClub on Twitter to let us know you’re reading along! And then she meets Kaelyn online – and everything starts to make sense. Could her Prince Charming be a girl? An inspiring and uplifting memoir about falling in love and finding yourself. When i first picked up this book (and the countless times i’d seen it before) i thought it was fiction. I had no idea who Lucy Sutcliffe was and the book definitely portrays itself as fiction from the cover. Me and Sophie picked up these copies together at YALC last year in order to start reading more LGBTQ+ stories. Once i’d gotten over the fact that it was in fact non-fiction and i’d had a quick YouTube of Lucy Sutcliffe, it took a while for me to get over the fact that it’s written in a very fictional style. I went through reading it like ‘no way do you remember the exact words said to you in that situation like the quotation marks infer.’ I struggled with it being non-fiction, and i think part of that must be because i had no prior knowledge of the author or take an interest in her. I think i could have been improved massively by it being a work of fiction based upon her life. I will comment that i’ve never read anything like this (in a positive way). The book is solely based upon Lucy coming out and understanding what being gay actually means. It’s not so much of a ‘coming to terms’ book, but gives a real life account of how it feels to understand your sexuality. A lot of LGBTQ+ fiction, especially in the YA genre, focus too much on ‘coming to terms’ with your sexuality and it can be overbearing. I imagine that a lot of your people reading this story will feel comforted by it if they’re going through the same thing. It’s definitely a book that i wish i’d have had when i was a teenager. Girl Hearts Girl is definitely not one of the best written books i’ve ever read. I enjoyed the easy way it was written and how fast you could get through it, but if you’re looking for the next literary masterpiece, i don’t think this is it. It ended up being quite a nice break from heavier reads i’ve read recently and i did quite enjoy reading it. Sophie read it before me and told me to not watch any more of Lucy and Kaelyn’s videos until i’d finished it because it’s quite a surreal experience, and she’s right. Because the book is so fiction like, it’s strange to then think that these people are real and their lives are on YouTube for everyone to see. It’s almost like bonus content. If you want to grab a copy of Girl Hearts Girl, you can buy one from Amazon*. Alternatively you can read more about it on Goodreads. As this read finishes on the 30th of June, we’re due a new read for July-August! The next read is the one that me and Sophie are most excited for this year, and we plan on reading it before the movie comes out later on in the year. 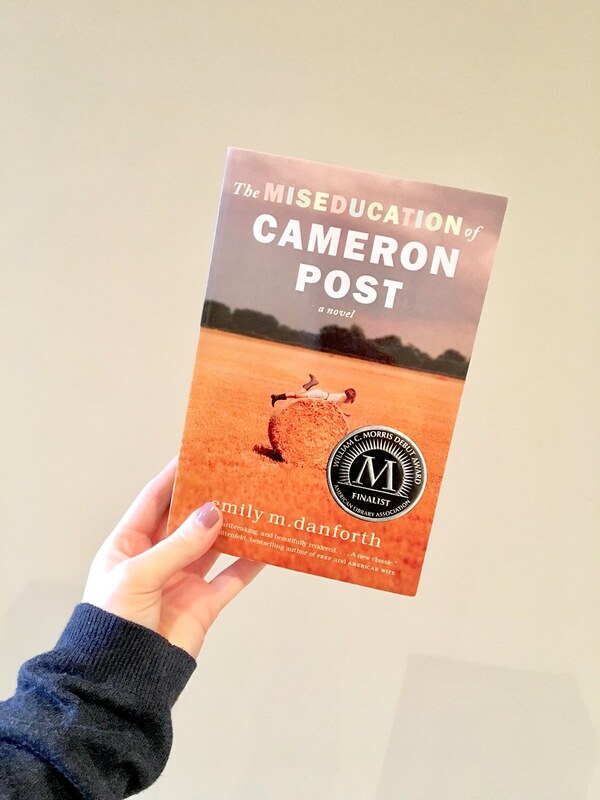 Make sure that you grab yourself a copy (Amazon*) and join in our reading of The Miseducation of Cameron Post by Emily M. Danforth in the next two months! Use our hashtag #TLCCBookClub!